Troubled teens that cannot seem to progress in their home environments are ideal candidates for groups homes like residential treatment centers and therapeutic boarding schools. Concerned parents should consider a facility like ours at Liahona Academy. We have developed a program that specifically caters to teen boys with moderate to severe behavioral issues. Our goal is to help struggling boys gain the tools and skills they need to progress in a positive direction, repair their most important relationships and learn how to co-exist with peers and incorporate teamwork and confidence as a coping method. New York teens will thrive in our home like environment that is led by experienced counselors and licensed therapists. If you have reached the point with your teen that you need to consider professional assistance, please call us today for a complimentary consultation. At Liahona Academy, we are here to help you find the best solution for your family. 1-800-675-8101. Teens dealing with issues like depression, anxiety, self-harm, trauma, substance abuse and emotional disorders may need a more intensive therapeutic intervention program than they can get at home. Out of control behavior is often a side effect of a deeper issues that must be addressed in order for real changes to occur. At Liahona Academy, we use a therapeutically based curriculum to help troubled boys figure out what their issues and triggers are in order to heal from the deepest level. Without this, there can be no long term changes. We use a variety of therapy modalities that give boys a chance to discover their potential and coping strategies that are specific to them and their unique needs and strengths. It is not unusual for parents to feel resistant to the idea that their child needs outside intervention, but in many cases, it is necessary for healing. When a particularly troubled teen is still living at home, he must overcome the everyday temptations and triggers in addition to modifying his behavior. In a group home such as ours, we eliminate those extra elements that impede success, while still giving him the love and support you want him to have. Teens from New York and throughout the country have seen great success by attending our program and we strive to provide an environment and curriculum that is effective and will also offer parents peace of mind. 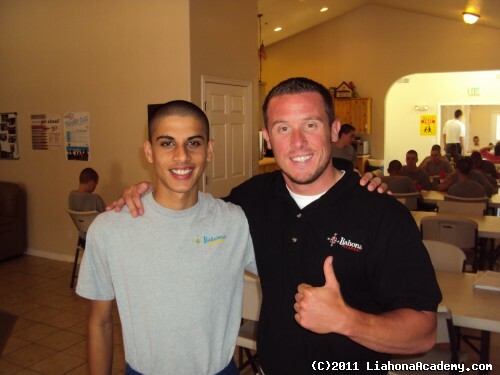 What Are The Benefits Of Therapeutic Programs Like Liahona Academy? Individualized Options For Treatment – Each teen that comes to us is unique, which is why we employ methods that are proven to work, but not as a one size fits all curriculum. Each boy is individually assessed and worked with throughout the program to ensure that his plan of care is as unique as his combination of needs. Education – Removing your son from school for any amount of time is a major consideration for most parents. We offer accredited classes where you son can get the help he needs maintaining his educational trajectory or the tutoring he needs to catch up and return home with better grades and study skills. Therapy – In addition to individual and group talk therapy, we also provide experiential options that are more likely to appeal to an adolescent. These include equine therapy, art, music and recreation. Location – Our location is renowned for having the best and safest teen help program laws and regulations in the nation. Parents from all over the country seek us out to ensure that their teens are helped in a secure, safe and efficient environment. We know that having a teen with behavioral issues is extremely difficult and we are dedicated to helping your family find a solution and return to a place of peace and communication. While keeping your son close may seem ideal, studies have shown that choosing a facility a little further from home may actually result in faster results for teens because they are able to reinvent themselves in an environment that is entirely new. We have been able to help thousands of teens throughout the country, including New York and we look forward to helping you get your son back on the right track as well.